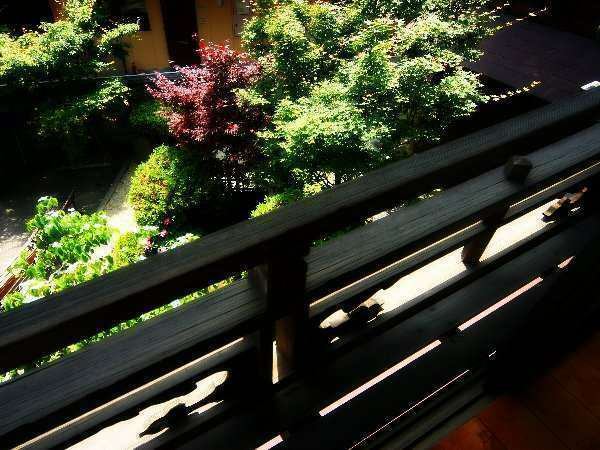 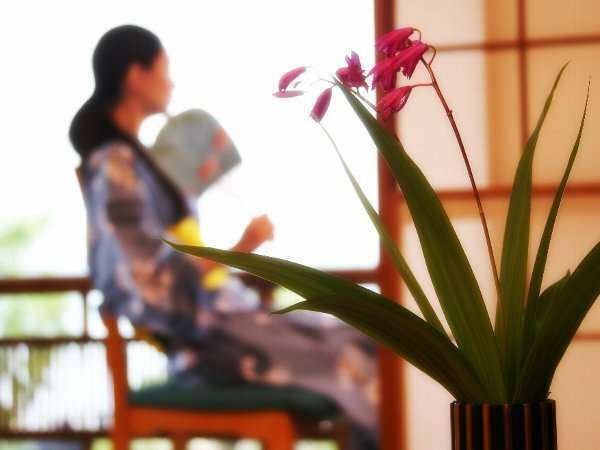 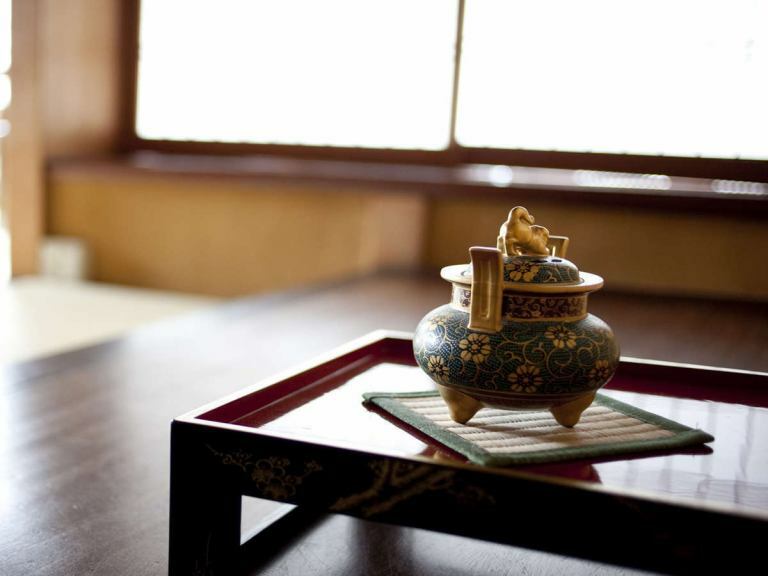 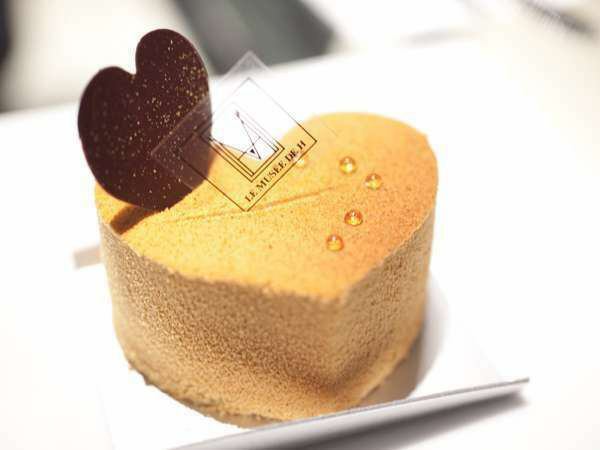 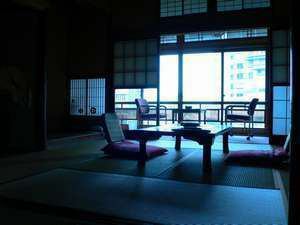 "Matsu no Ma" is the most spacious room on the 1st floor of the hotel. 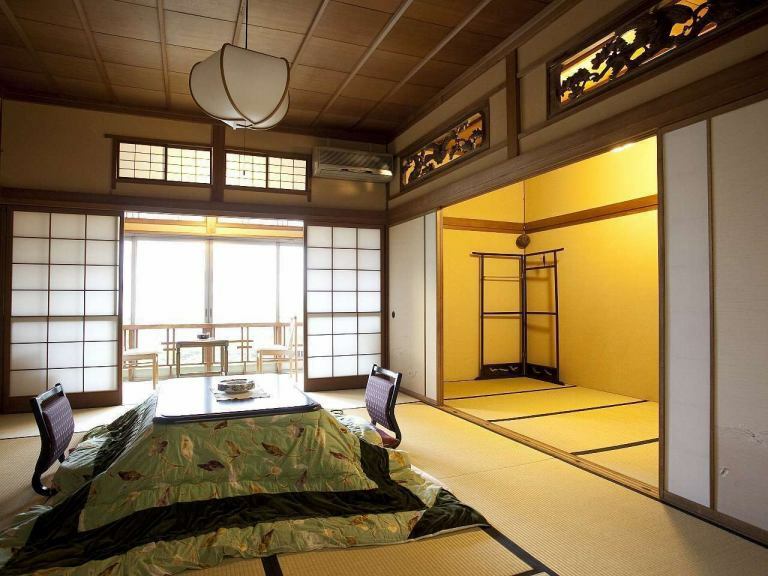 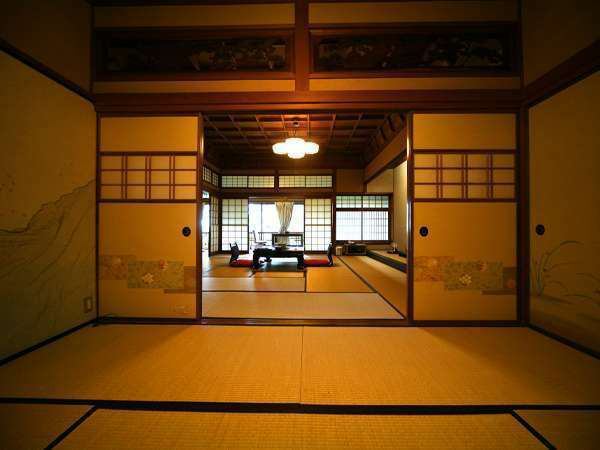 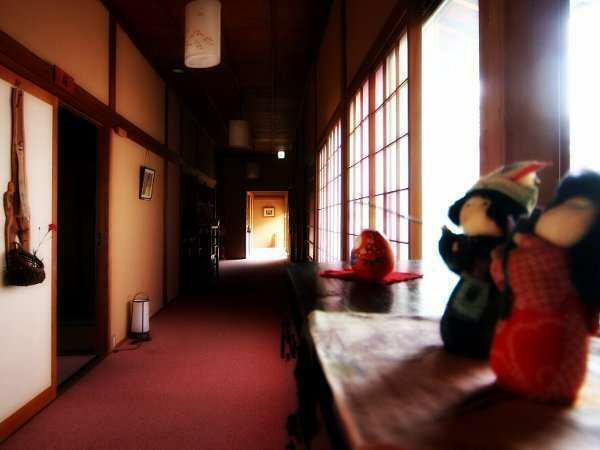 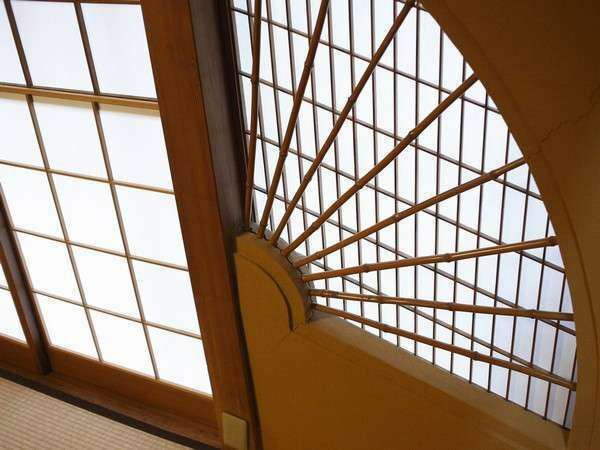 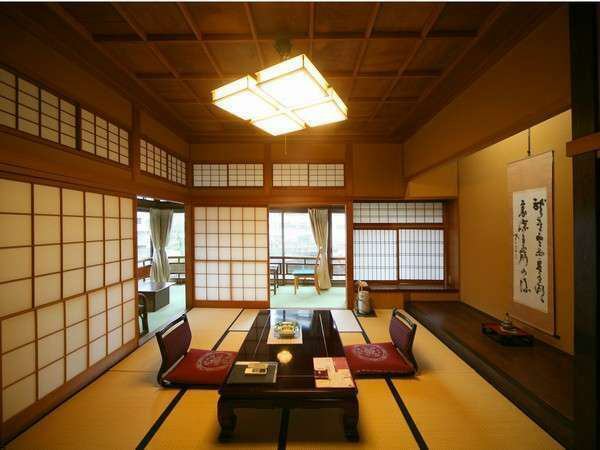 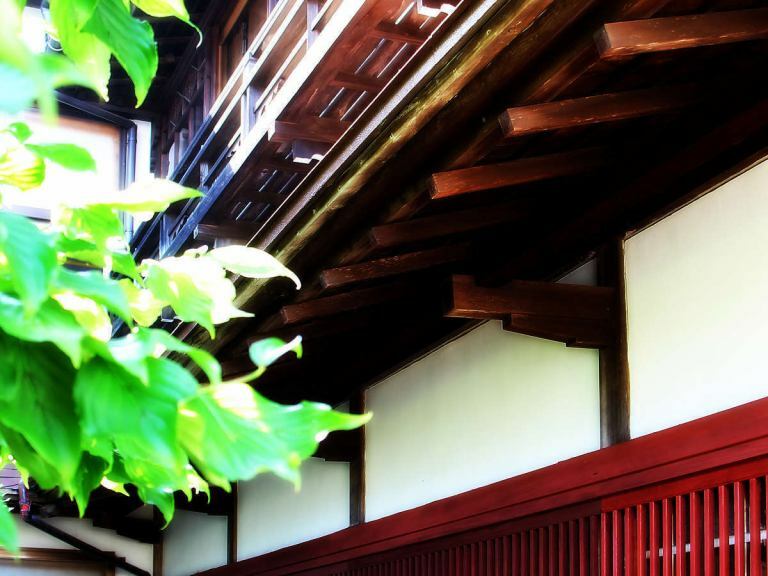 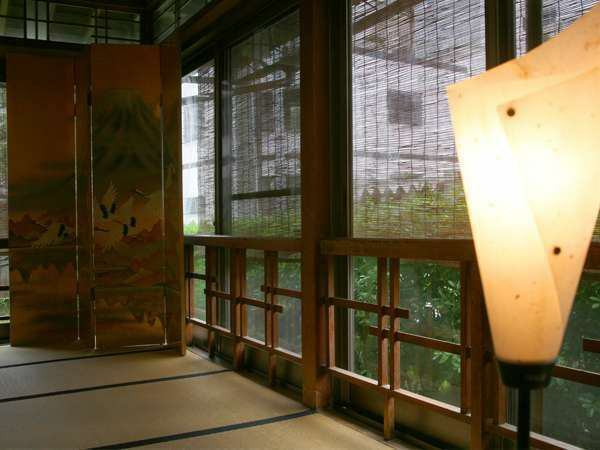 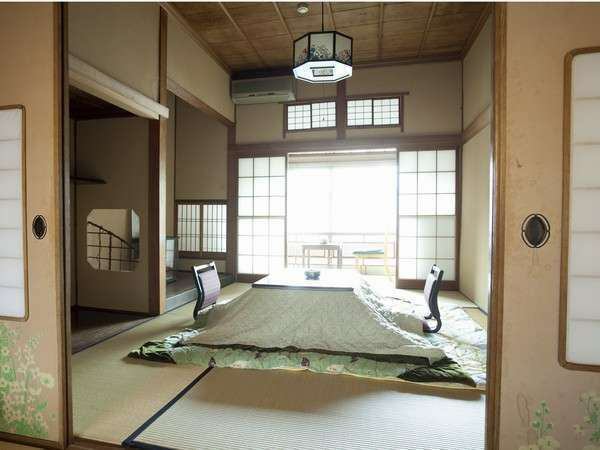 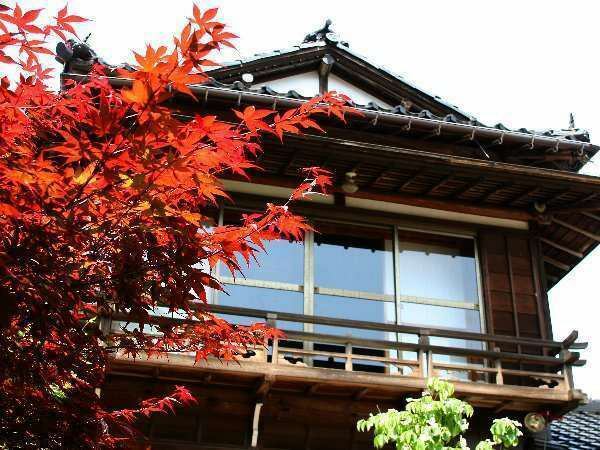 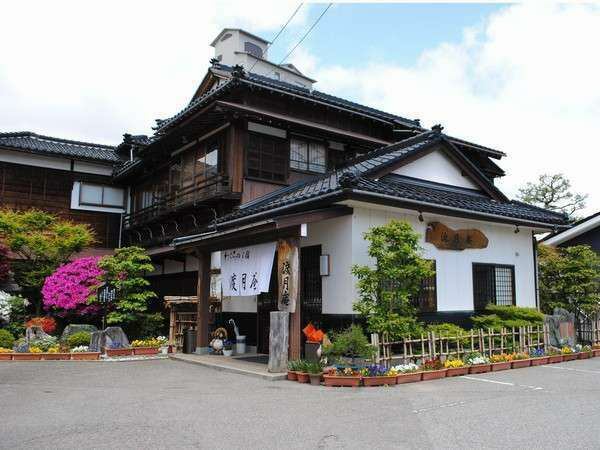 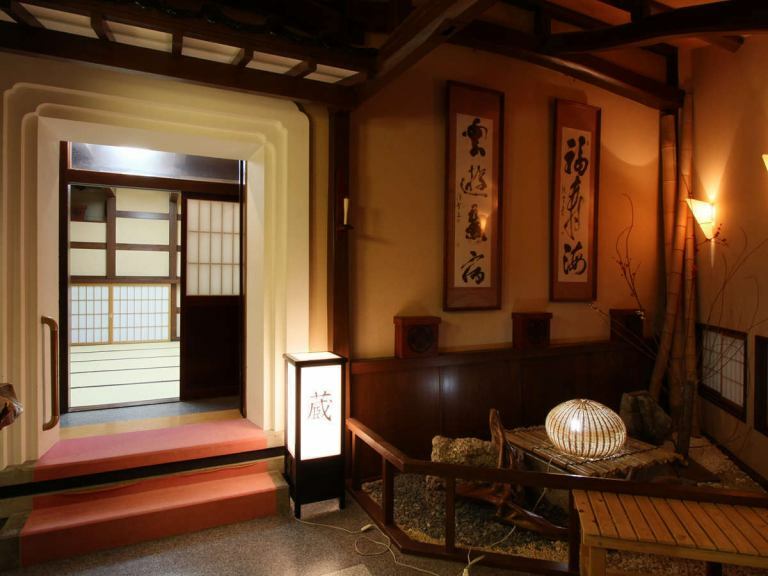 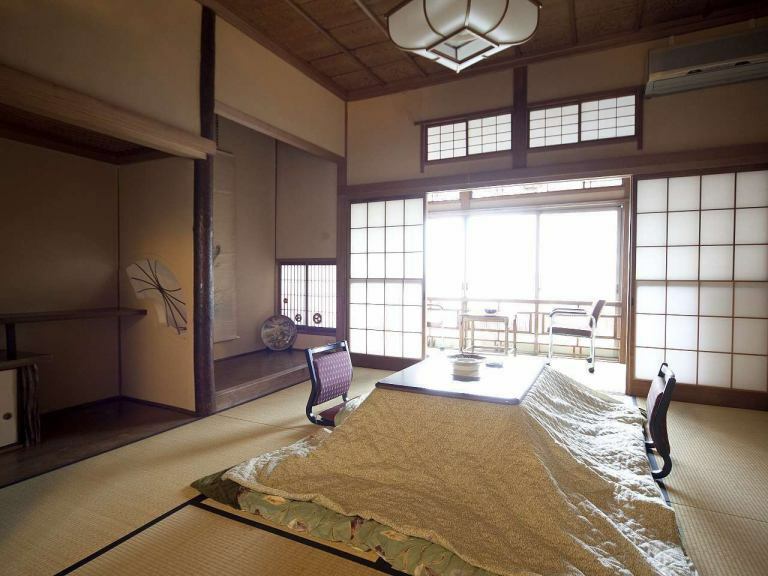 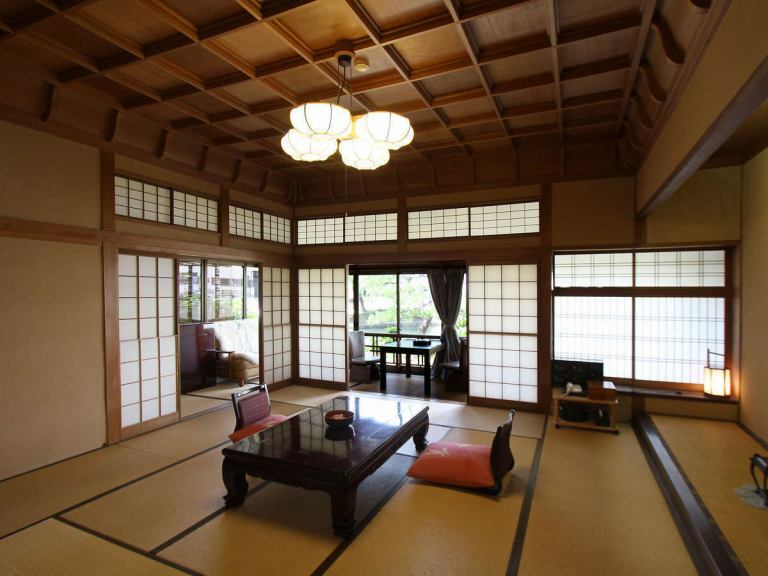 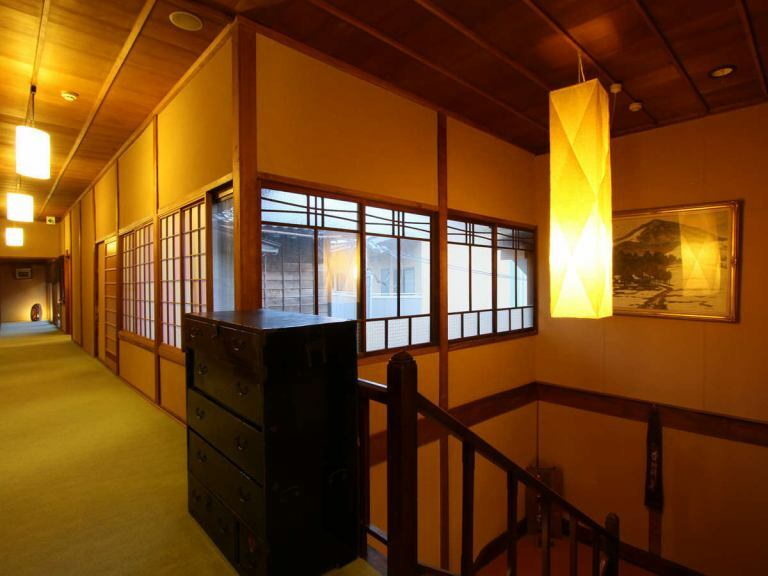 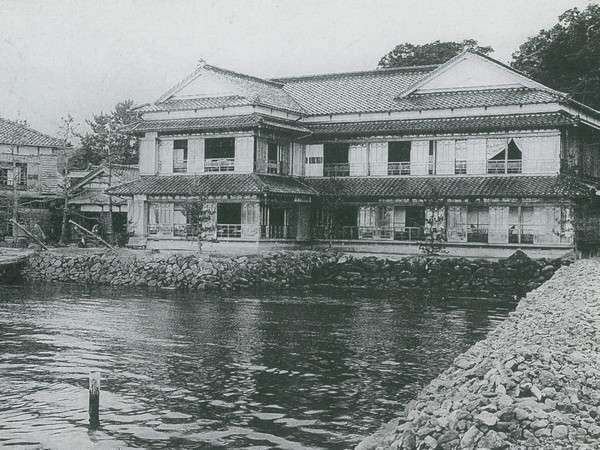 This is the historical second floor special room where the royal family once stayed, "Ayame-no-ma". 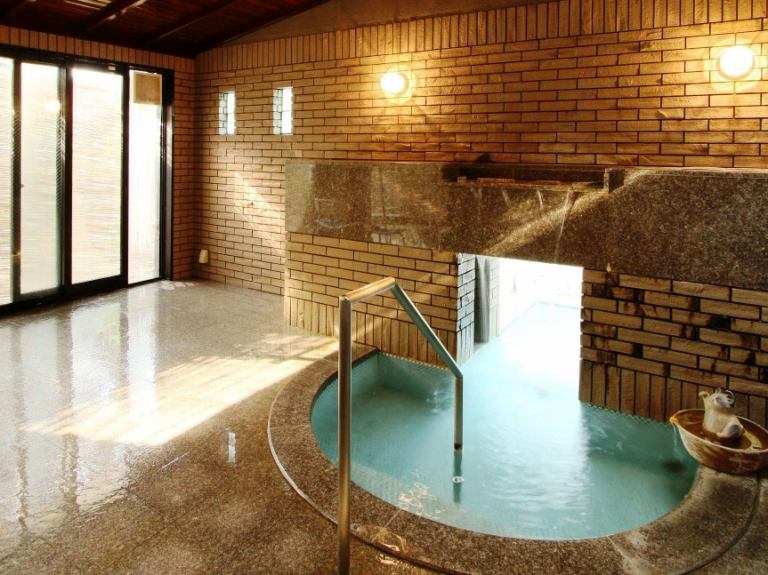 "Bath House", a warm little bathroom with a hot spring. 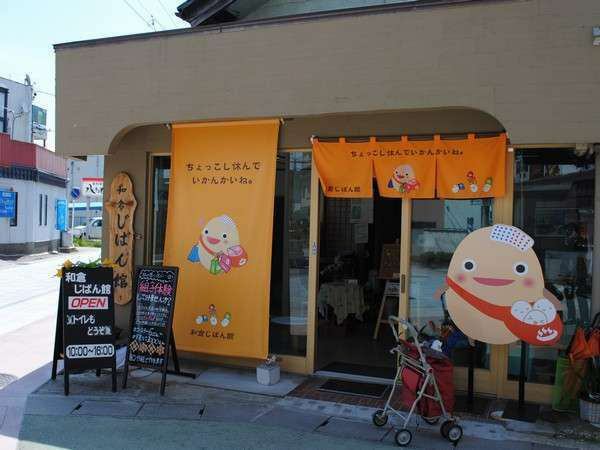 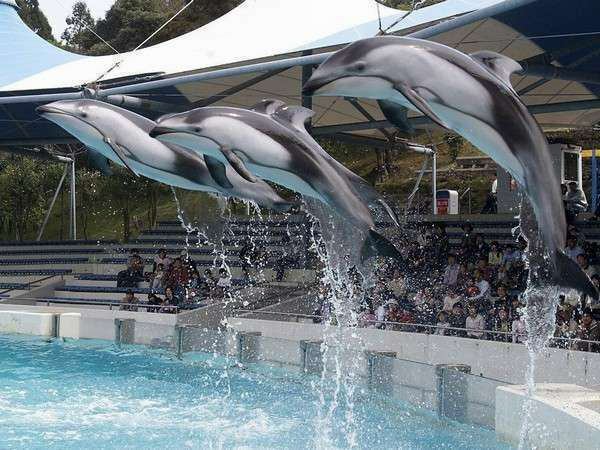 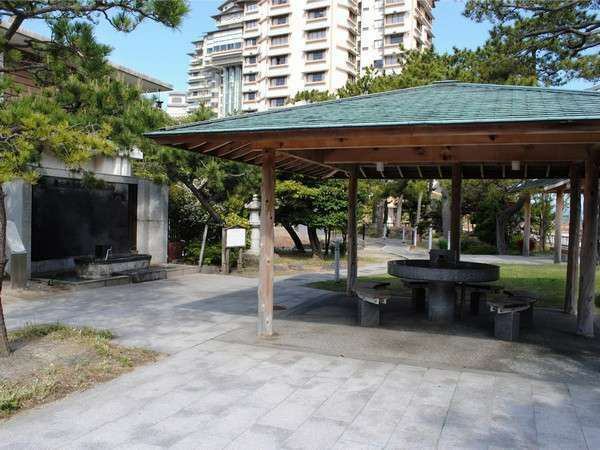 "Women's open-air bath", you can take a leisurely while looking at the seasonal funeral garden. 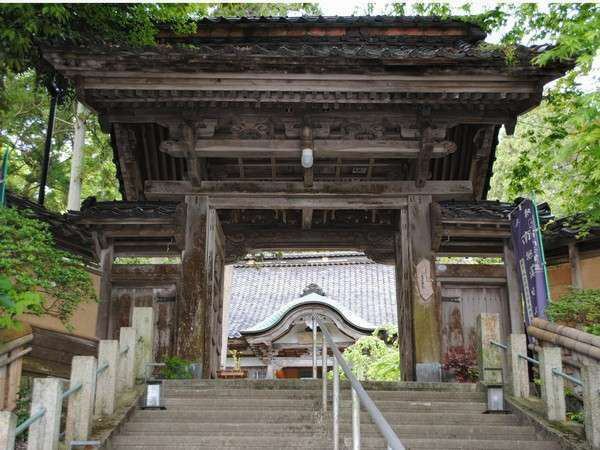 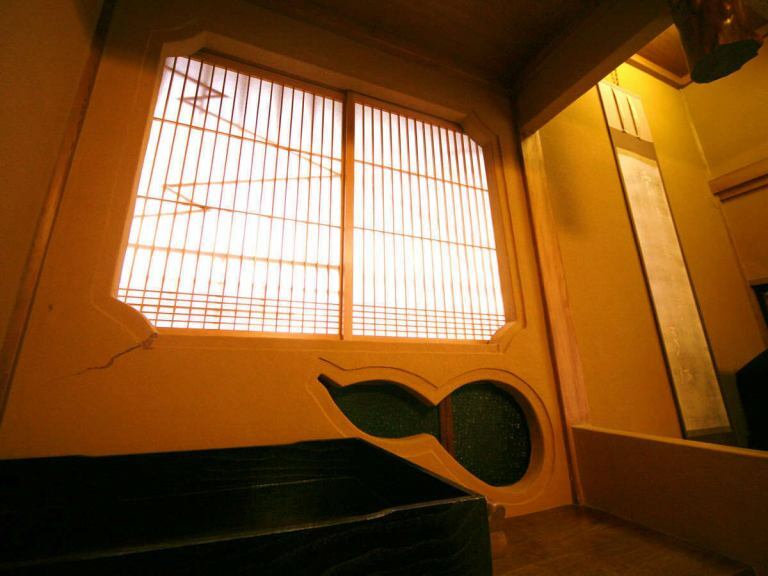 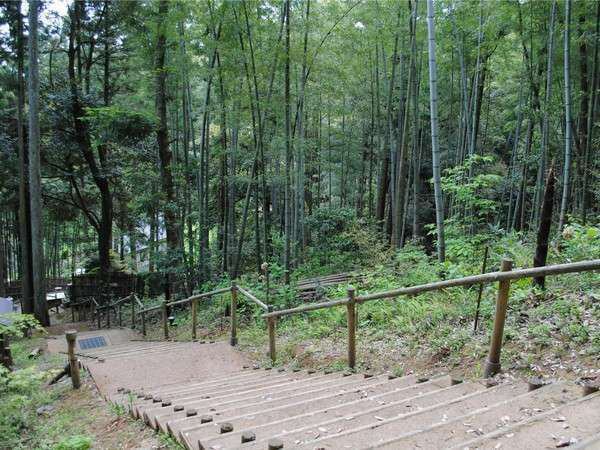 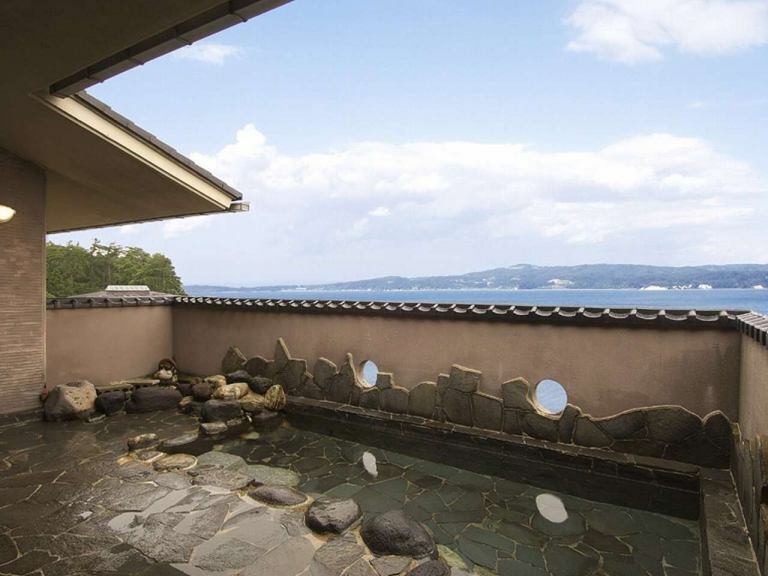 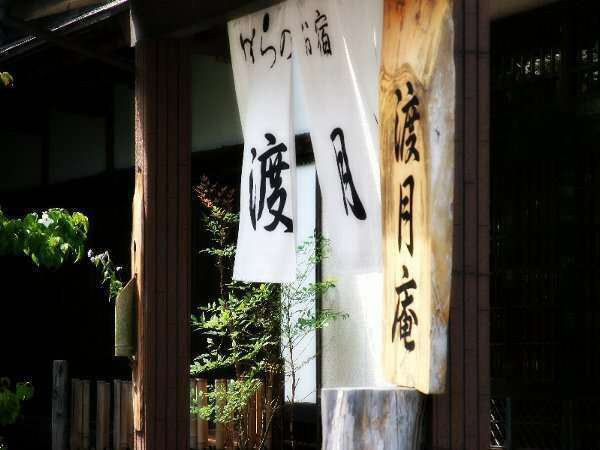 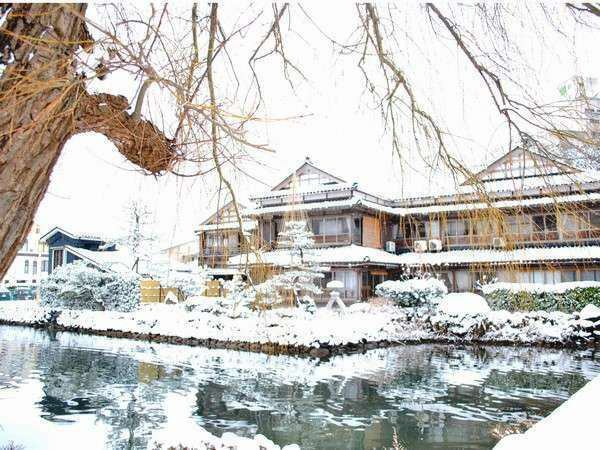 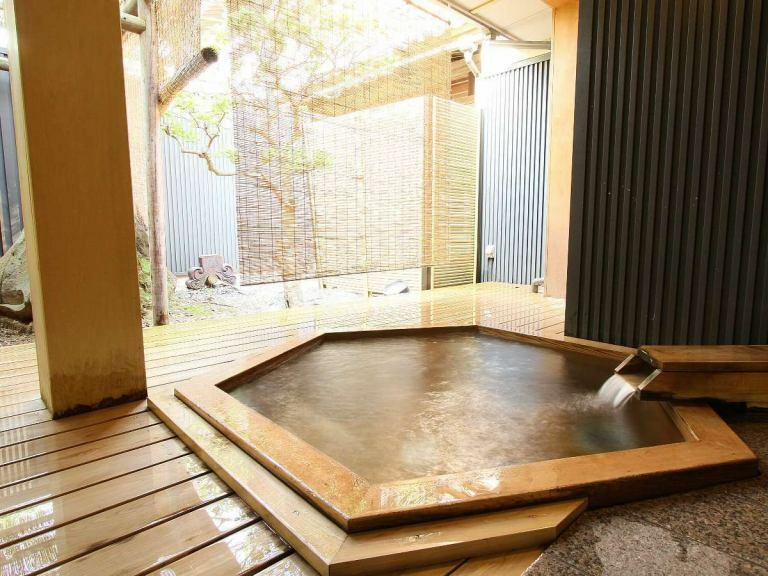 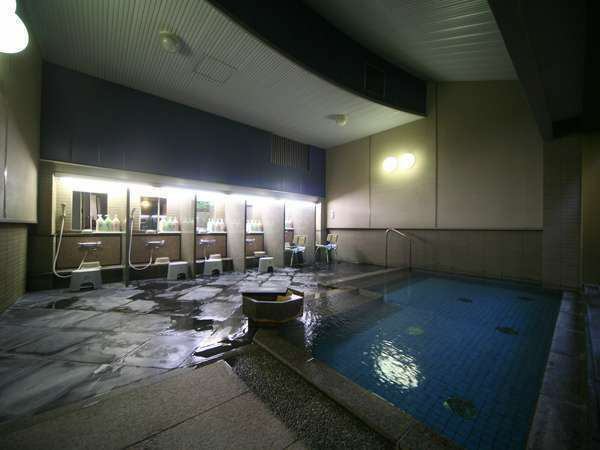 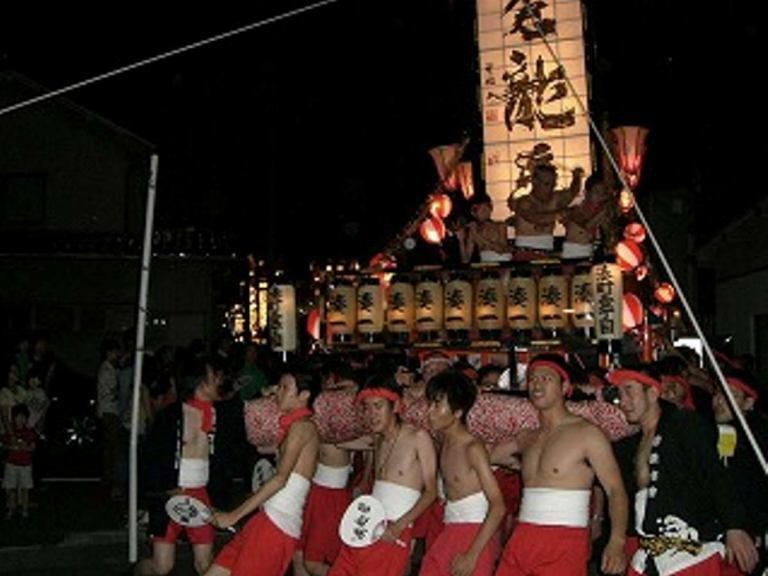 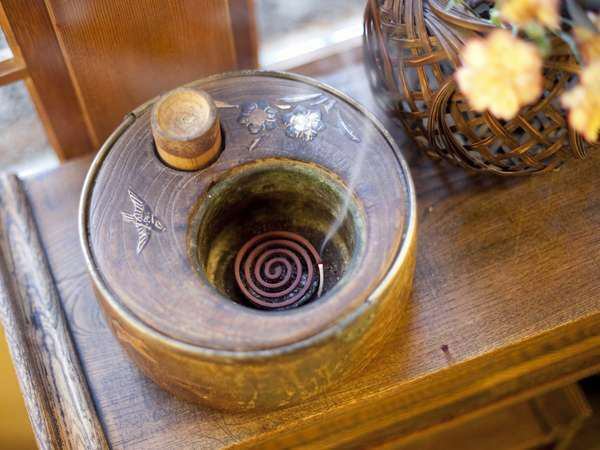 "Gedo open-air bath" is an open-air bath that you can have a comfortable bath while feeling the outside air. 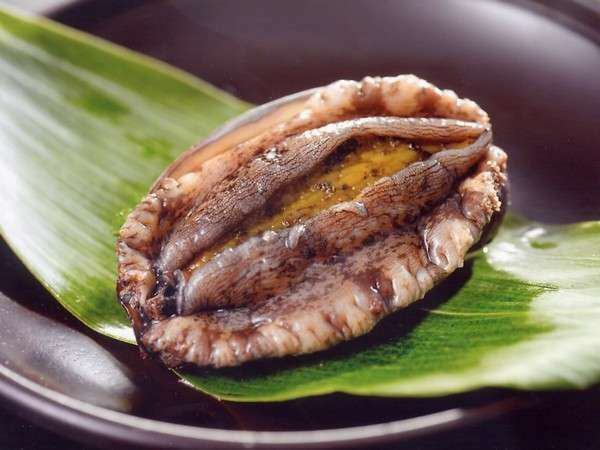 Grilled crispy grilled salt grilled. 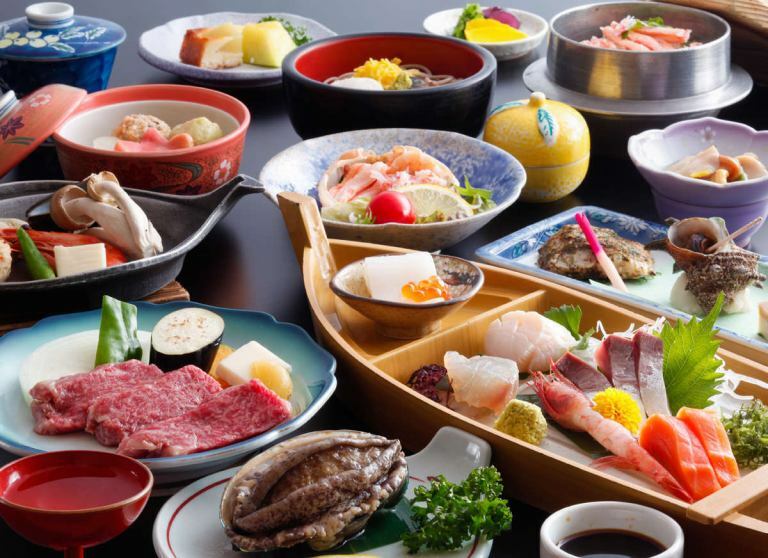 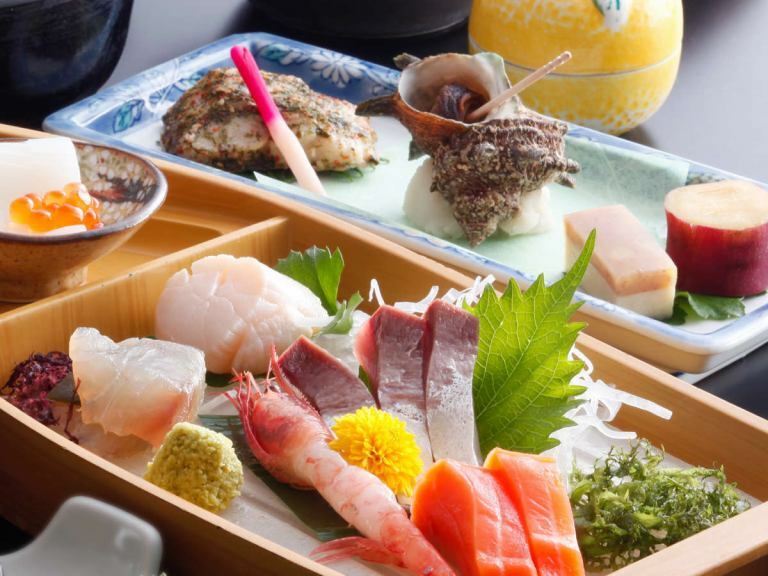 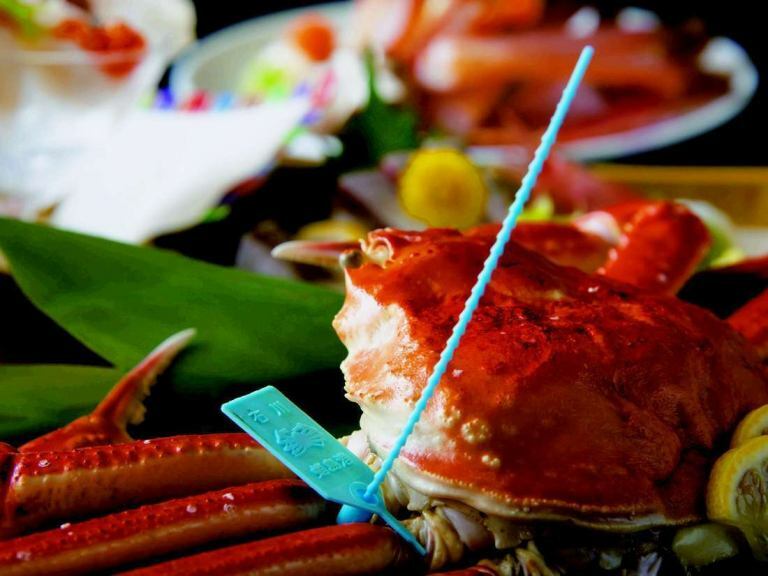 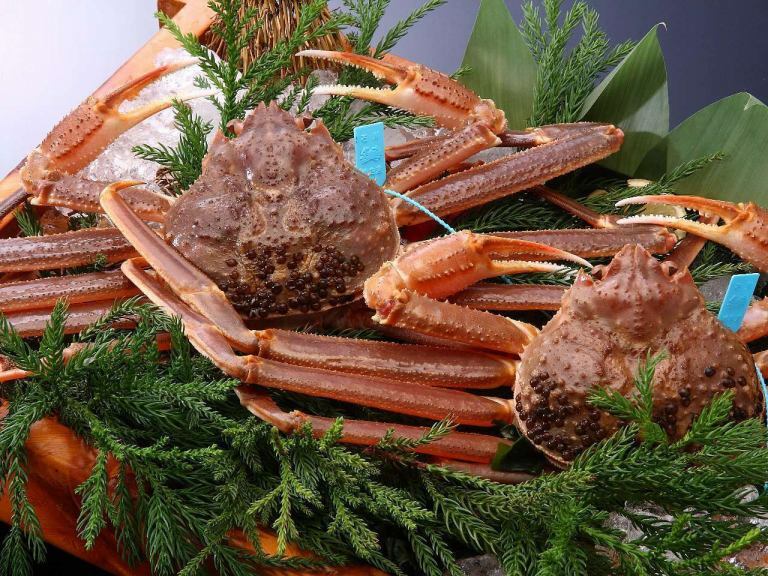 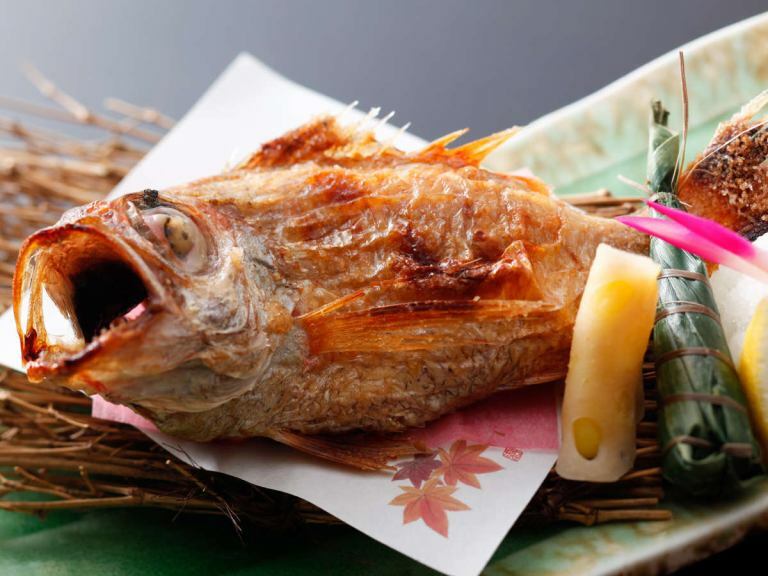 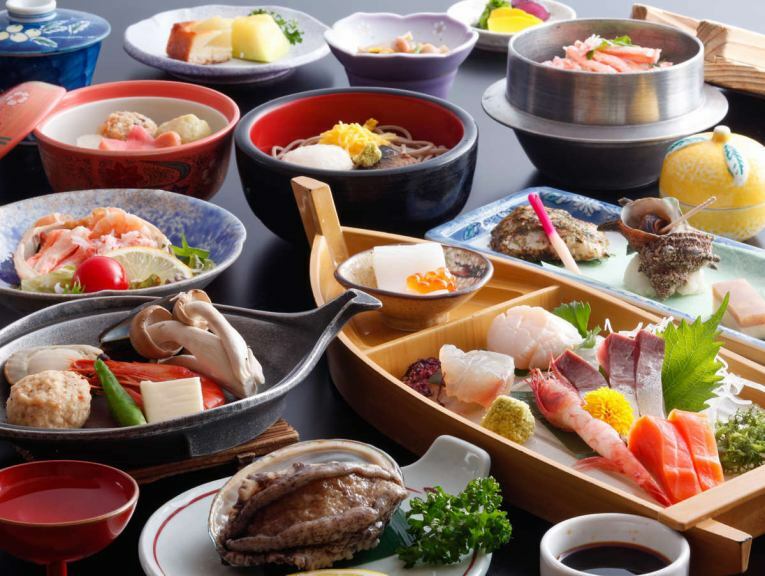 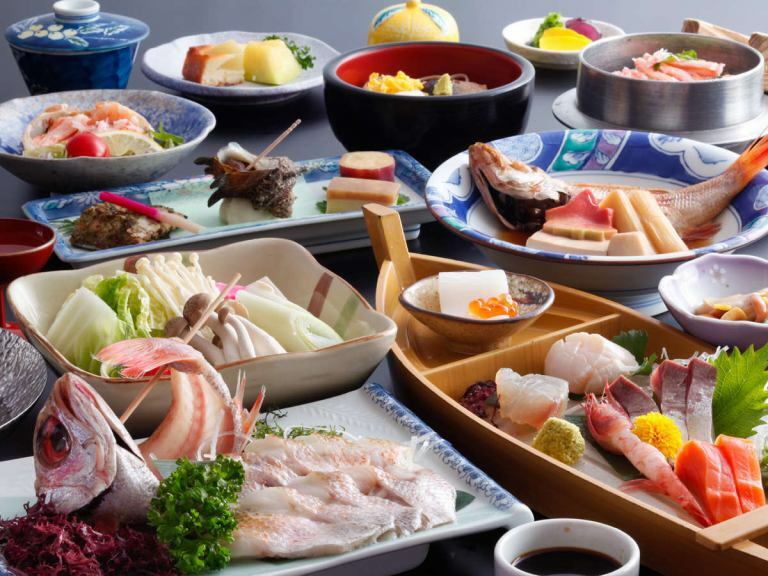 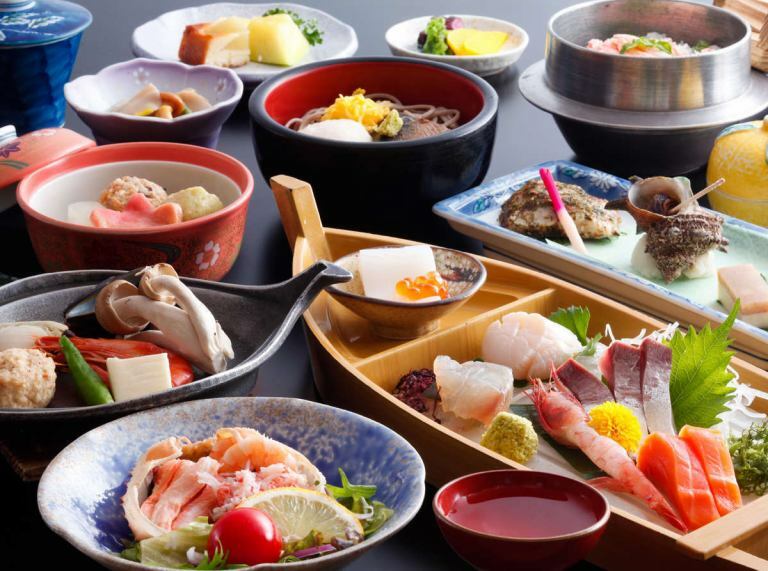 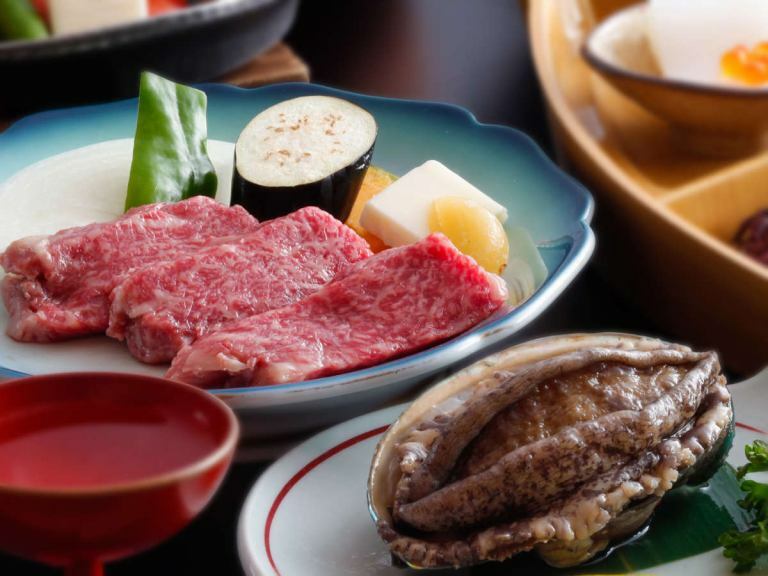 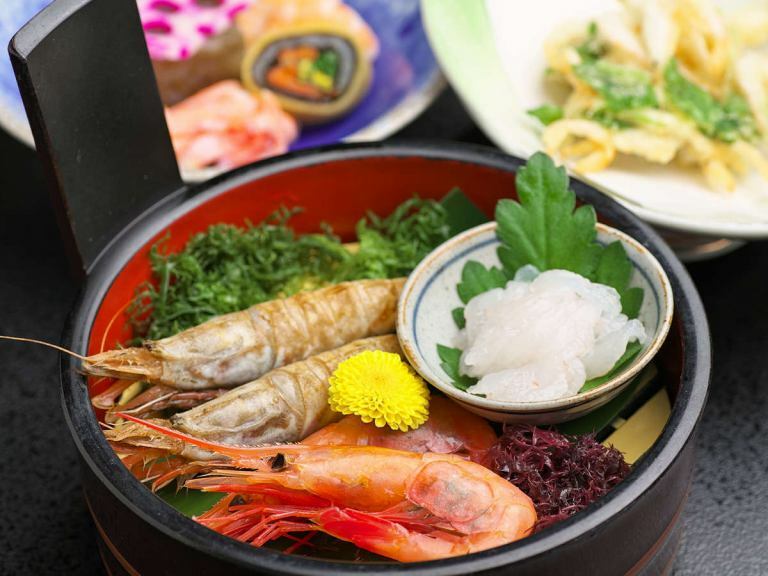 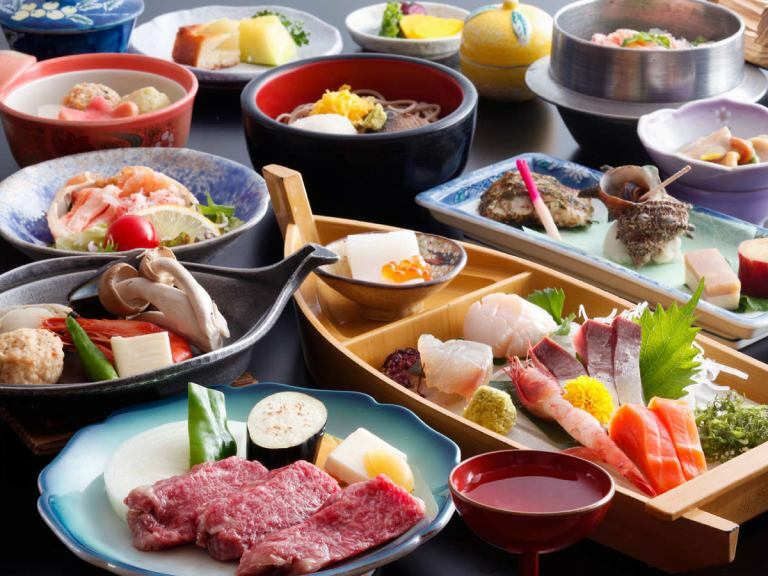 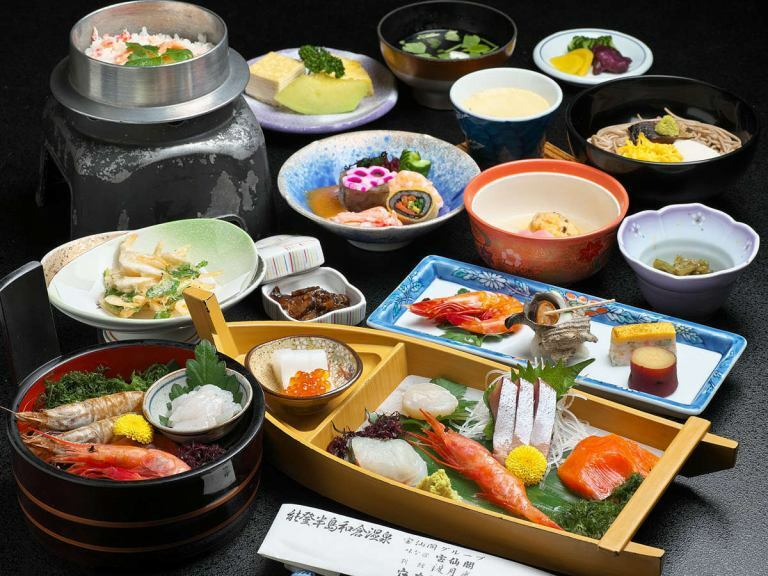 A luxurious Japanese-style Kaiseki Meal with "Kagayaki Kaiseki Meal", fresh abalone and Kaiseki Meal beef steak, and seasonal fish sashimi. 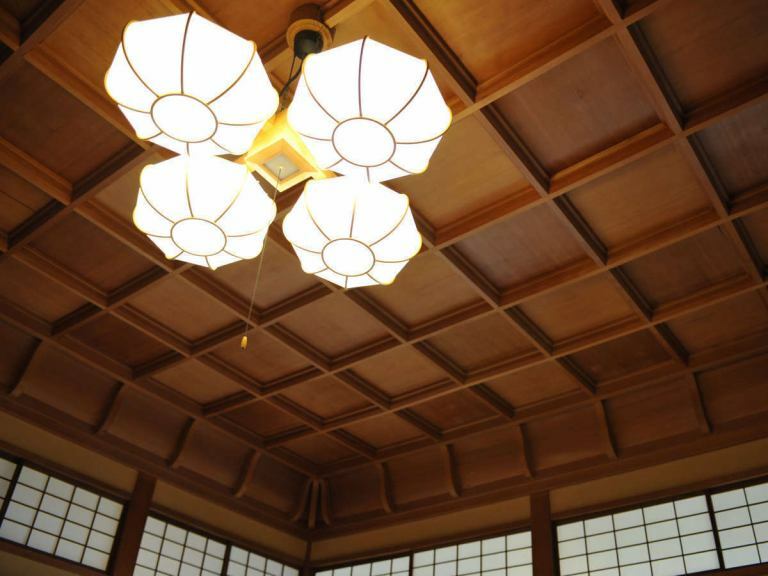 Electric light in the facility was still at that time. 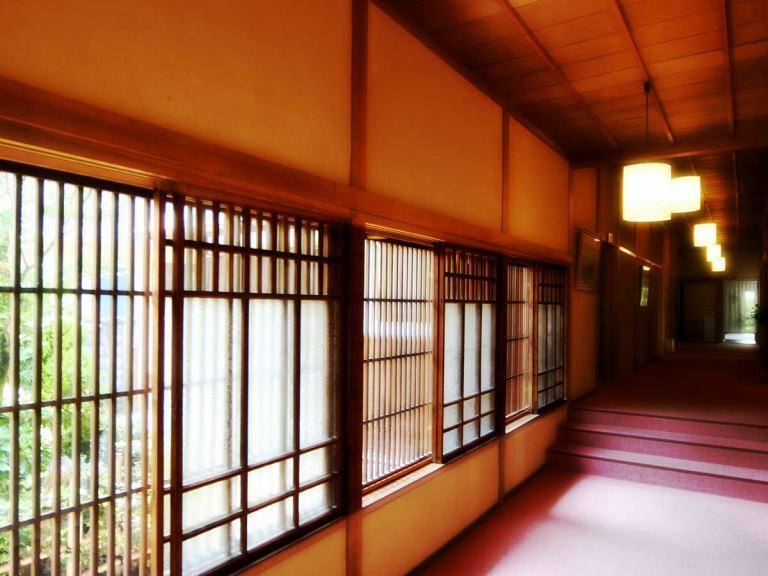 A corridor leading from the entrance to the room. 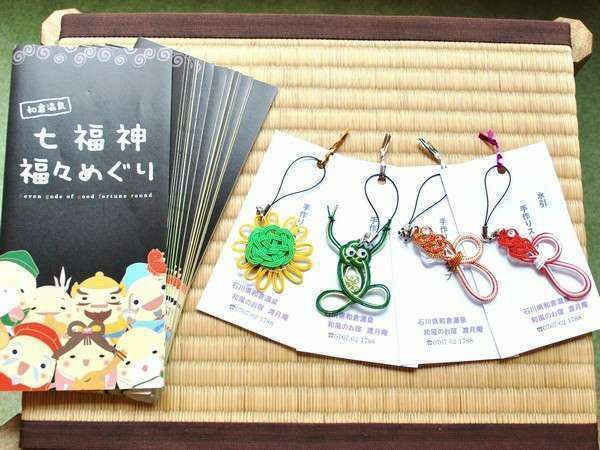 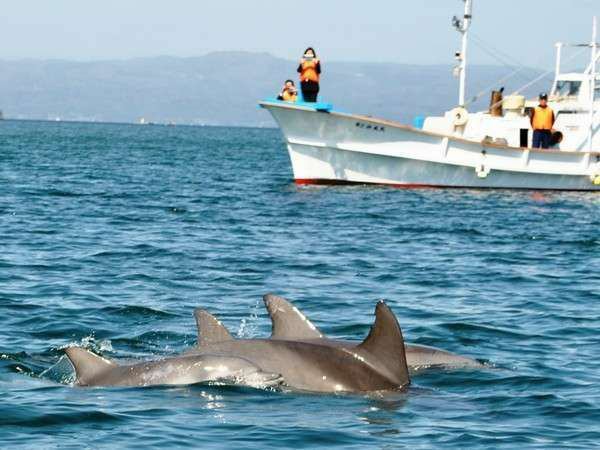 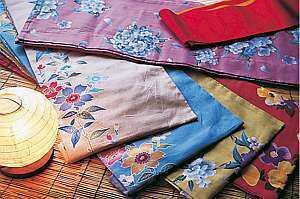 Enjoy traveling with yukata you can choose more! 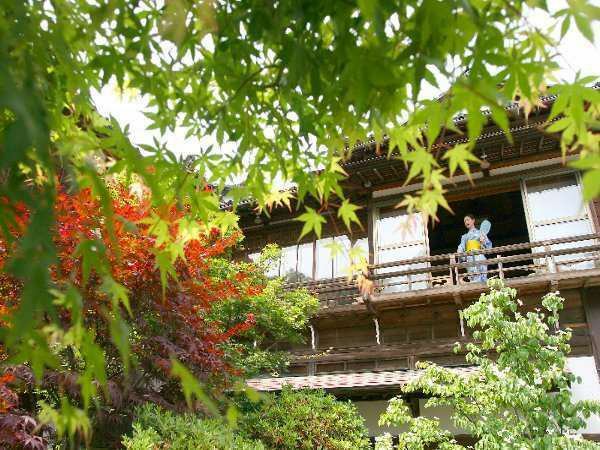 Enjoying the rough walk of the hot spring town with yukata! 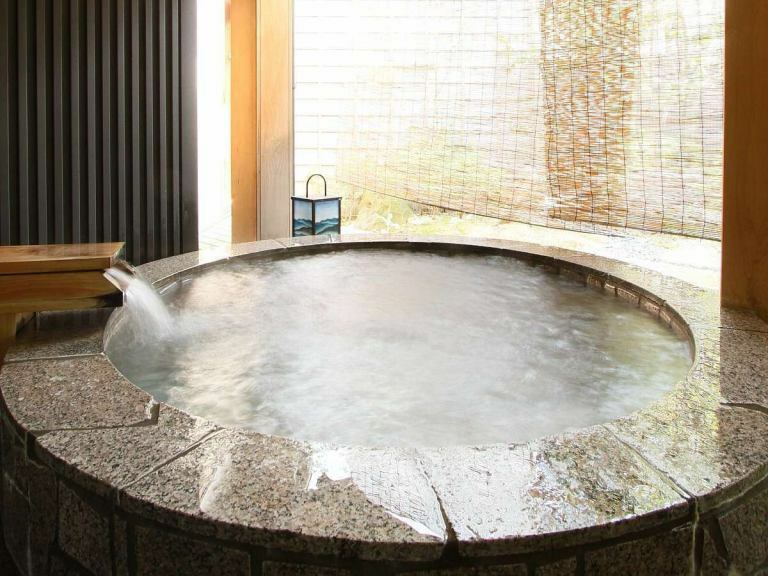 Seeing hot springs to sister inns is also free. 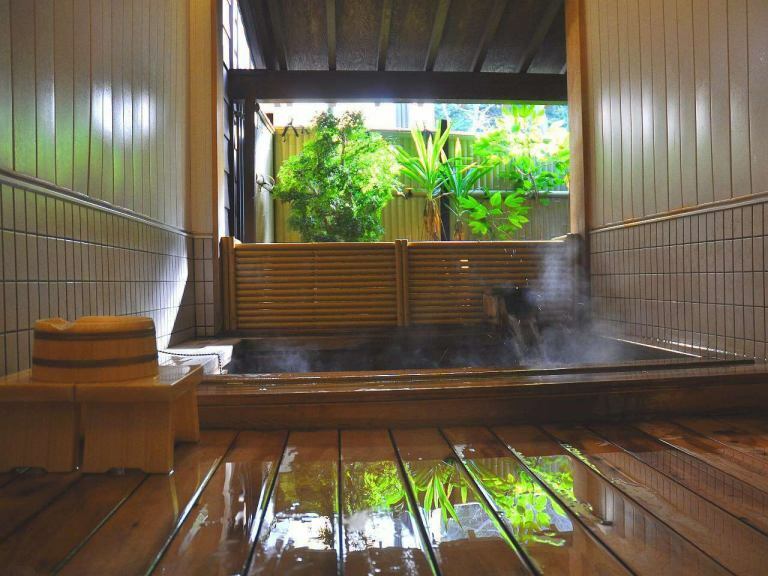 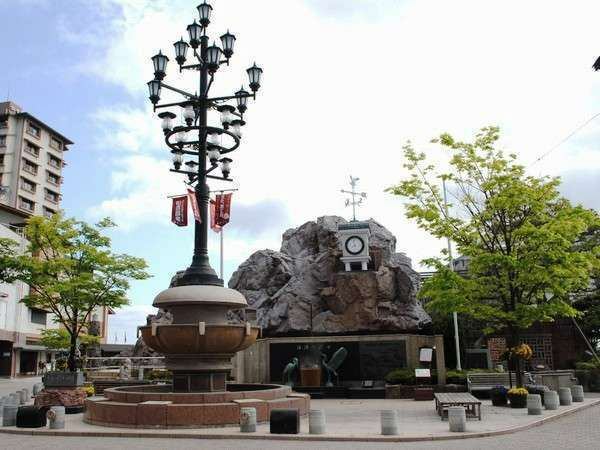 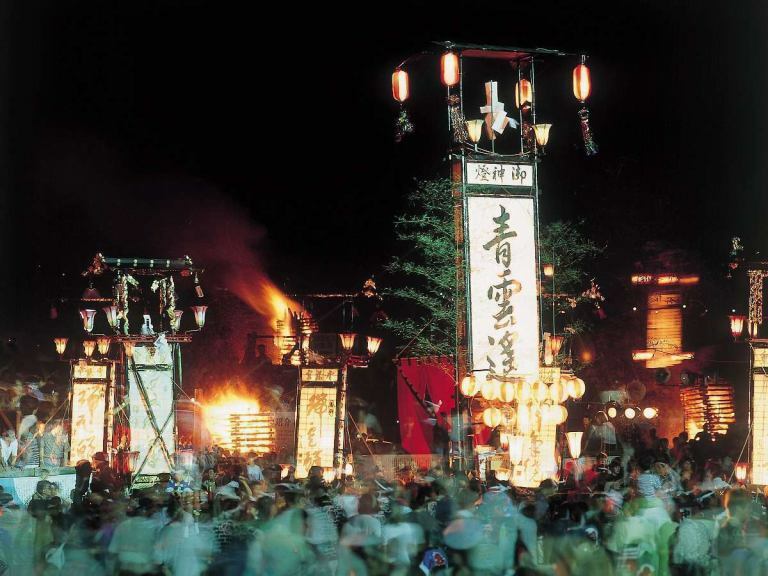 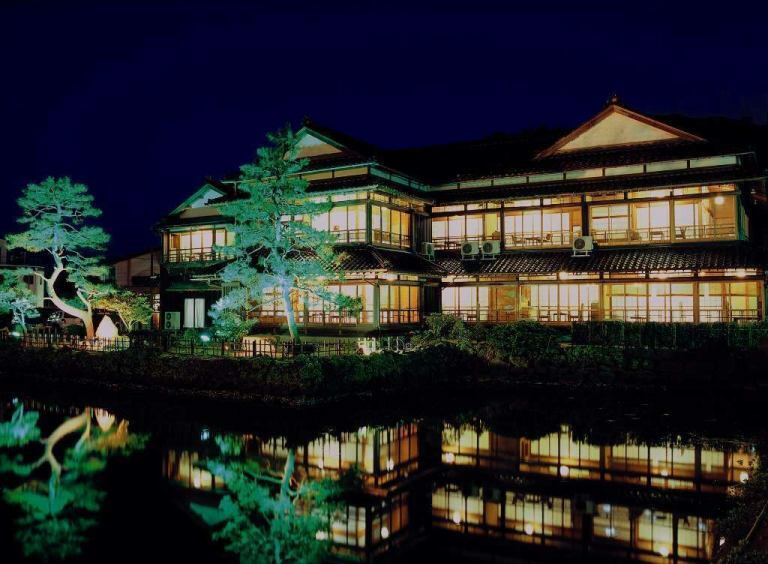 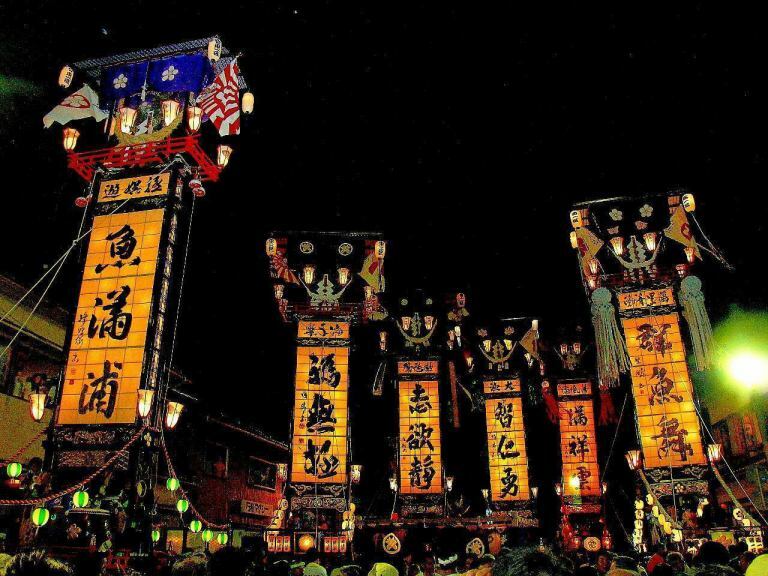 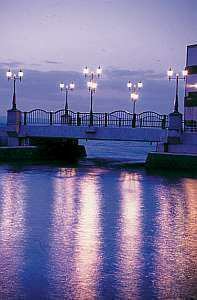 The evening light-up at Togetsuan is one of the highlights of Wakura Onsen. 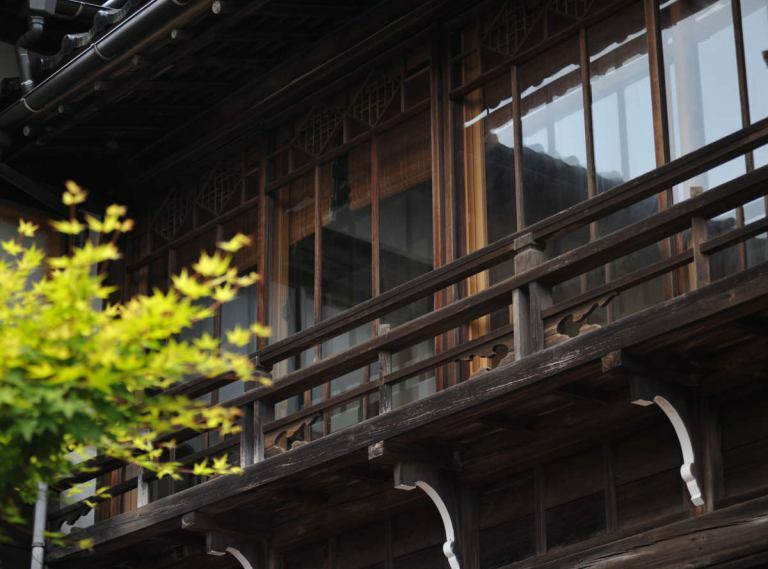 Shibahanakan Annex was built in Taisho early as Shibahanakan Annex.You can see thorough passion in construction and material. 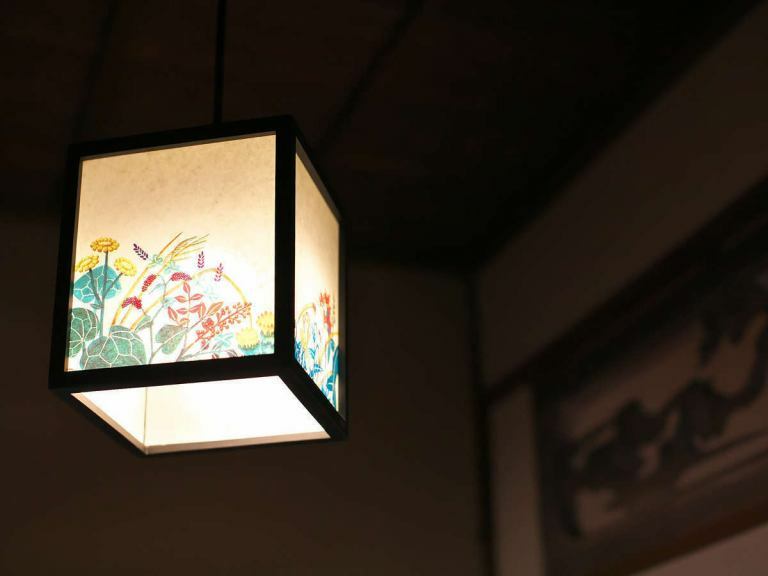 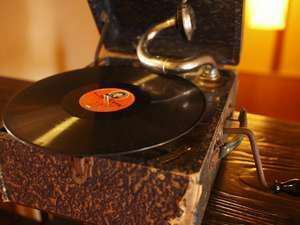 Grandpa, a memorable thing that reminds me of my grandmother's house. 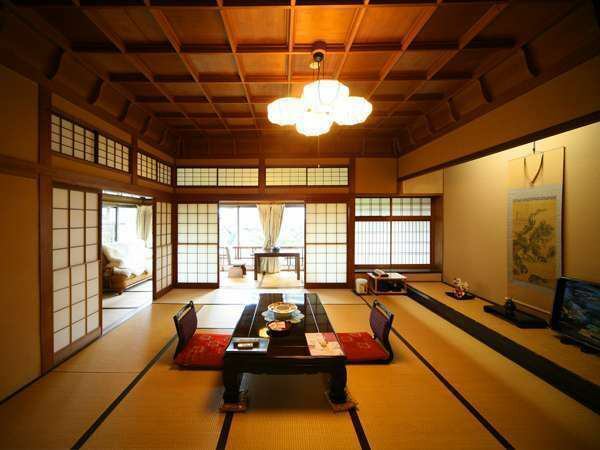 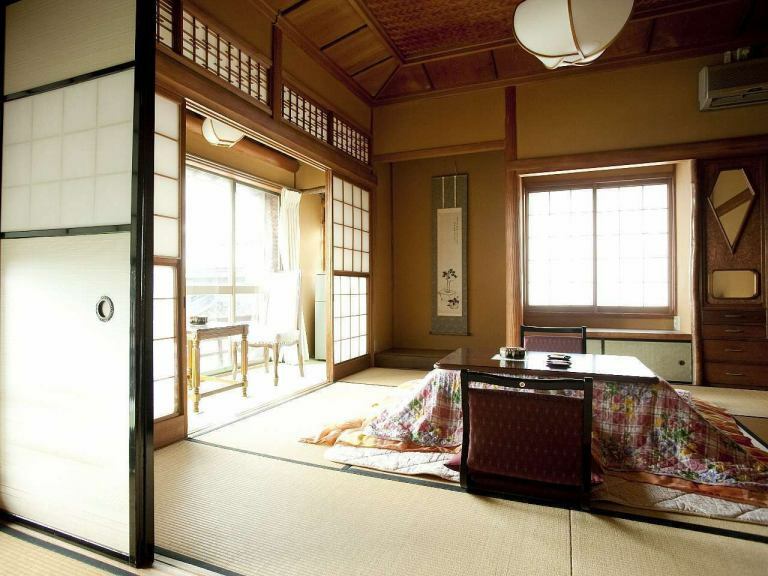 A Japanese-style room made in Taisho Period.It is an extraordinary space away from the hustle and bustle of everyday life.